ERTSY FAM! You know how I hit a writer’s block almost every 6 months. Well, creativity is a hard pass when you live an intense life. Plus, it only gets worse the more you get into your ‘adulting’ routines. 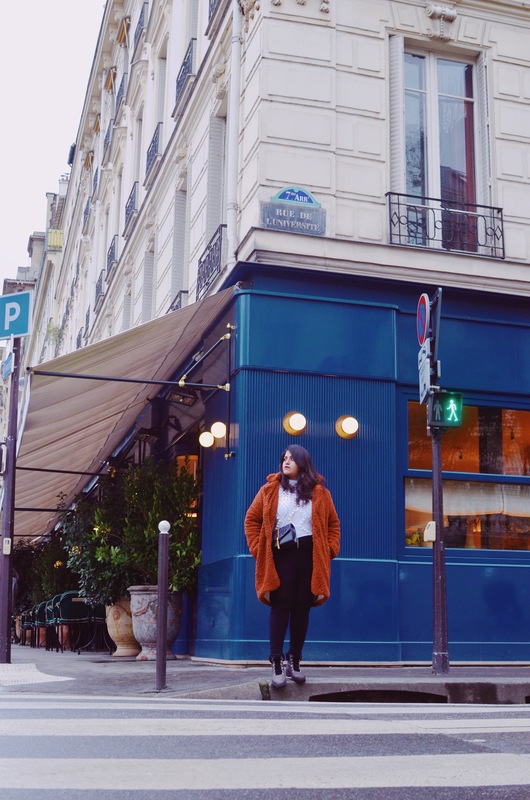 I started this year with the last leg of my Masters’, 2 jobs (one corporate + one school assistantship), and of course, there’s my blogging life. So, well, it only goes south from here in terms of the ‘free time’ and ‘creative freedom’ I’ve enjoyed thus far. I actually found myself in a literal rut when I struggled with coming up with even ideas for the content I wanted to write. And finally, it hit me! I had a burst of some really inspiring ideas. 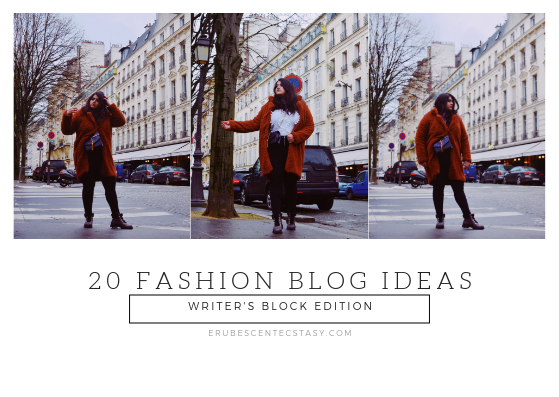 So, I decided to write 20 Fashion Blog Ideas when writer’s block hit! The beauty(?) of a writer’s block is that not only are you unable to get your word’s out in a structured form, you also really, really don’t want to keep sitting on that task. Basically, you just want to block away that underwhelming feeling completely. So, then I’ve compiled my list keeping in mind the need for minimal motivation and effort (research). Furthermore, I love to do to things with my hands, even if it’s basic cleaning & sorting when I hit a writer’s block. Probably to delay having to write something or have a sense of accomplishment. Either Way, I also have imbibed elements of that in this list. So, some DIY! I’ve also linked my own articles on the list if that’s something I’ve worked on. This is for clearer examples and if you’re in a mood for some reading, maybe! After all, what good are these fashion blog ideas if they’re not readable? 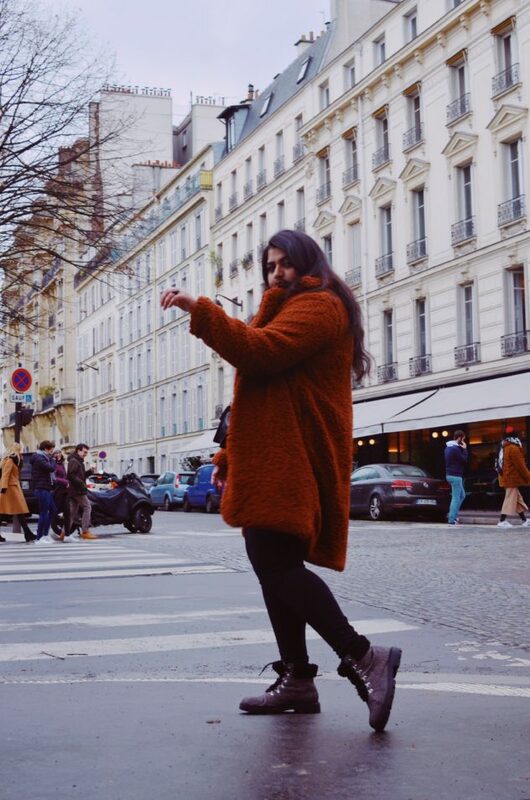 Before we jump to the list, I’m wearing an awesome & super-warm Teddy Coat from my outfit partner site- Shein! 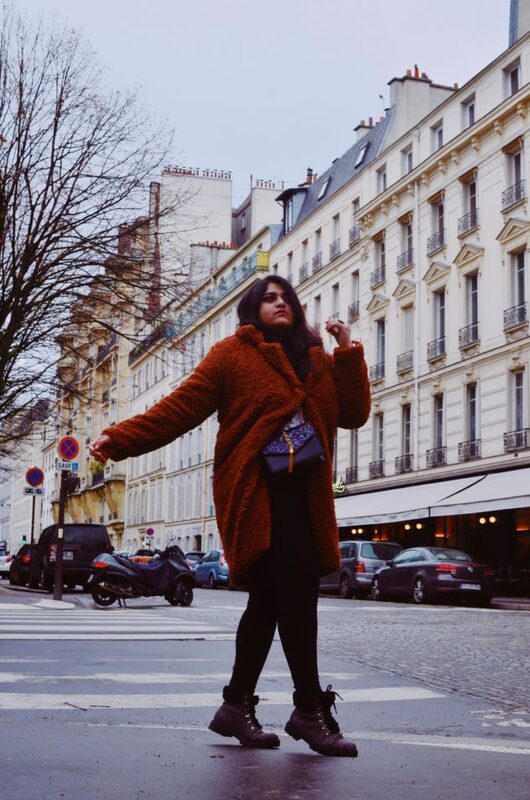 You, too, can get this and a lot more of stunning, affordable fashion pieces from them by following this link (shopping in India? Click here). Don’t forget to use code ‘9Aditi’ on check out for an additional 15% off! 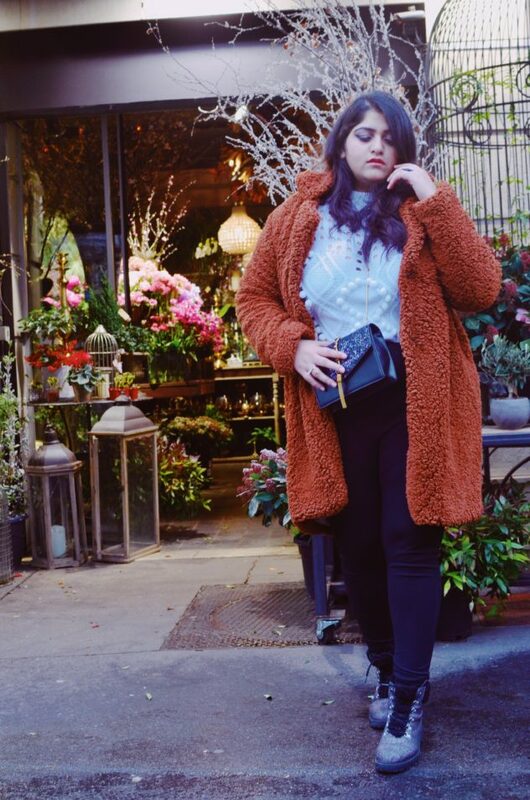 4) Styling Challenge – Style something you’d never, usually wear! So, that’s the end of my list. Hope it helps you out of your writer’s block! If you can think of more ideas, leave them in the comments below because god knows I could use some! Do share your thoughts on my list, too! Don’t forget to shop my outfit from Shein.